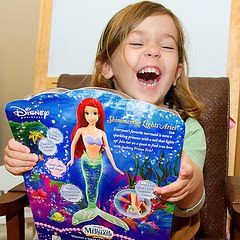 I didn't get Ariel, but I think I had a similar expression when I saw the features! I want to give two huge thank yous today- one to Kristen Nichols of All Things Lovely, and another to the girls of Elizabeth Anne Designs for featuring my note cards on their blogs! You all are so wonderful and I really appreciate the kind words said about my work! If there is ever anything I can do for y'all, just let me know! If you'd like to check out the features (or just take some time ready their amazing blogs), just click on their names above!